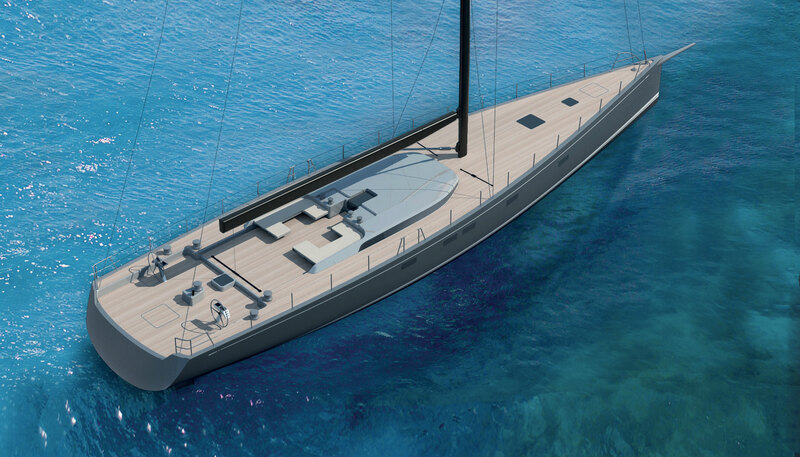 The new Swan 115 represents a step forward in cruising/racer design. The initial conceptual work was undertaken for a couple of potential clients looking to increase the return in terms of enjoyment and the joy of owning a large sailing yacht. Besides the customary family cruising in comfort, they were looking for extra adrenaline pumping racing and sailing at higher maximum speeds downwind. This existing brief led us to design a maximum waterline length hull that could be optimized for speed in the lighter weight condition, something entirely different from the traditional heavy cruiser racer concept that, because of their deep hull shape, do not gain speed by being lighter due to loss of sailing length. The 76 ton displacement racing version will be capable of very high speeds specially reaching and running, similar to those of the grand prix maxis. 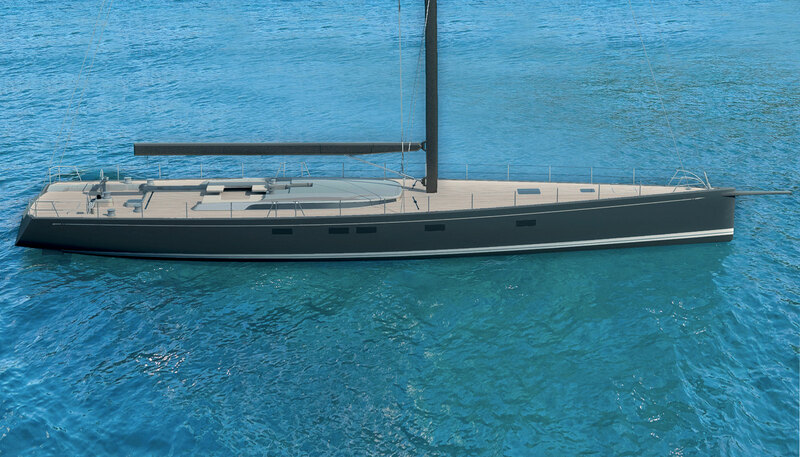 The cruising S version, with a sailing displacement of an around 95 tons, will benefit from the full length waterline and still be capable of high speeds due to her waterline length and modern configuration. We chose a 5.75 / 3.50 m high aspect ratio lifting keel for maximizing performance and having the ability to reach low draft anchorages. The racing version has a 6.75 / 4.6 m keel for even higher pointing ability and weight reduction. The keel profile area was calculated for a comfortable helm balance and the foil shape was chosen from our proven record of CFD analysis. We selected a twin rudder configuration to match the lifting keel draft reduction a nd powerful stern shape and to attain full control under sail. A thorough study was conducted to decide the size and position of the rudders when manoeuvring at slow speeds. An efficient and modern sail plan and rig was drawn on two options: cruising triangular mainsail for the “S” version and a square top mainsail for the racing one. The racing version has a bowsprit for improved downwind performance. 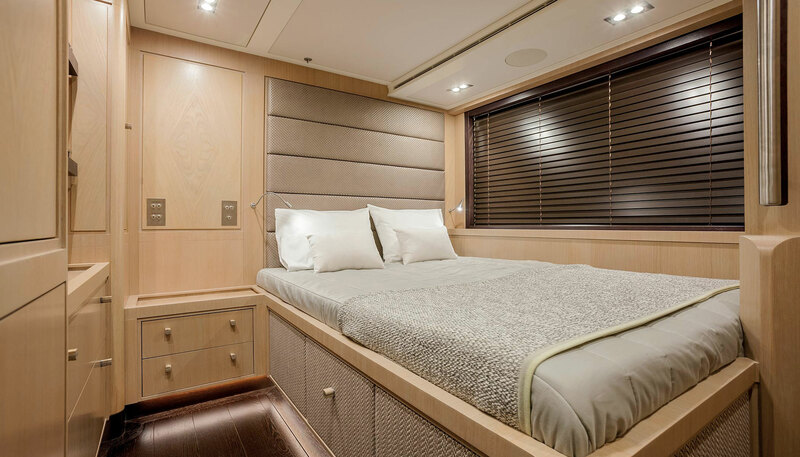 Both “S” and racing versions boast an ample aft cockpit where the helm and sheets are located, a comfortable bimini-covered one-level center cockpit with C-seats for 12 guests and four halyard winches at the mast. The forward deck is clean and flush. Push button sail handling is standard on both versions. Owner forward and owner aft versions are available with a high degree of customization and superior sound insulation. The hull and deck are built in carbon fiber using foam and Nomex core. In addition to the standard straight propeller shaft arrangement a retractable propeller arrangement is available for the racing man. Traditional Nautor high quality and know-how for the finish and details, systems, teak decks, and sumptuous accommodations is guaranteed. The Interior Design Brief for deVosdeVries design was to create “something different” and contemporary, but with a casual and welcoming feel, using the excellent skills of Nautor’s craftsmen. The direction determined by our initial design proposals resulted in a light grey, stained oak finish with a brushed treatment throughout, maintaining a link with the base material Nautor often uses for their interiors. We have complemented this with contemporary raised paneling on the upper sections of the walls, using a crown-cut veneer with bookmatched grain patterns. The carefully selected veneers are small works of art in themselves and are repeated on the cabin and wardrobe doors. Contrast is provided by the dark, crown-cut wenge floors, fitted with a distinctive cross plank detail. This gives the interior a slightly industrial undertone. 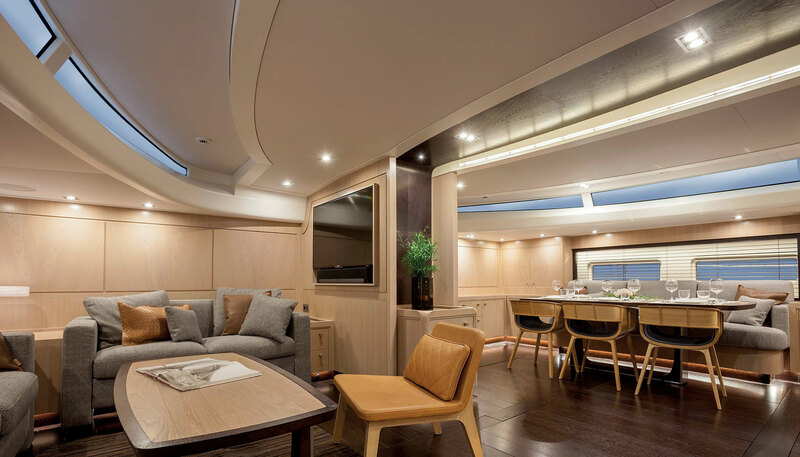 The interior has many details that make it extra special, ranging from the beautifully crafted, rounded corner details, to the handrail recesses and table finishes. Neutral soft furnishings in a selection of grey tones finish it all off and create a link with the grey colour scheme of the deck hardware. It was a pleasure to work in close collaboration with Nautor, who were always happy to supply ample samples that greatly supported the design process. 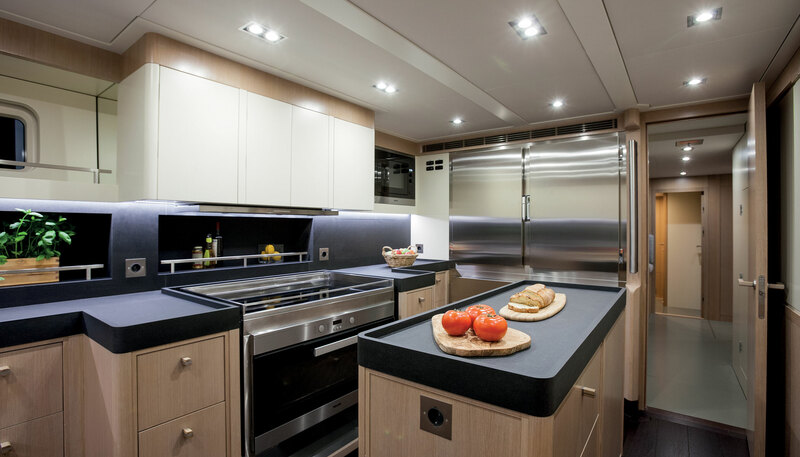 As a result, we were able to create a fully functional interior with all the required comfort and amenities constructed using lightweight foam and carbon cores in order to meet the strict weight requirements.